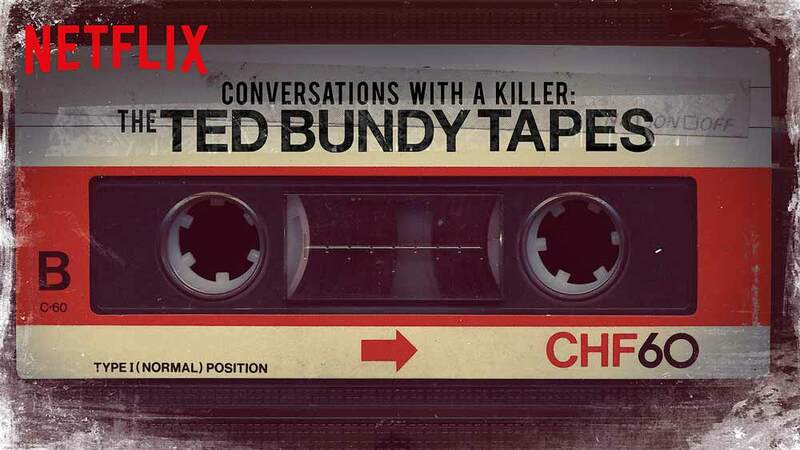 Netflix’s recent release of Conversations with a Killer: The Ted Bundy Tapes reflects a renewed fascination with notorious serial killers and their horrific crimes. With 100 hours of recorded data, these interviews were taken while Bundy was on death row. Bundy promised to give an exclusive look into what really happened in return for a reexamination of his case, which he claimed would prove his innocence. However, as one of the interviewers questioned for the Netflix documentary pointed out, “what he really had in mind was a celebrity bio”. The interviews themselves were, for the most part, devoid of substance. and the only confessions were made under the guise of Bundy speaking in third person. The marketing for Conversations with a Killer was focused on the 100 hours of taped conversation. However, the interviews with Bundy played a relatively insignificant role in the documentary. There was no significant analysis of the content in the interviews, and they were mostly used to support previous descriptions of events. 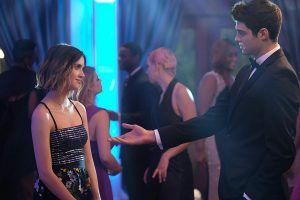 Removing the tapes from the documentary would not significantly impact the value of the show as a whole, and they were so rarely included that their purpose was unclear. Often, the events Bundy told in the tapes had little to do with the story of his crimes currently being recounted. The inclusion of the tapes coupled with the other interviews and general information about Bundy’s crimes made the documentary difficult to follow at times. Bundy generally avoided talking about the crimes, choosing instead to use the opportunity to promote an idealized version of himself and his childhood. Had the documentary chosen to focus on the psychology of Ted Bundy, examining his manipulative behavior, the tapes would have been relevant supporting information. By failing to analyze the portions of the tape dealing with his childhood, Netflix succeeds in creating the “celebrity bio” that Bundy craved. It is unsettling that a documentary that should be a horrifying account of his crimes and a condemnation of his actions instead fed into Bundy’s sadistic ego. Some have called Bundy the “Jack the Ripper” of the United States. However, the mythology of Jack the Ripper is entirely centered around the fact that nobody knows who he was. It’s this investigative framework that stops you from simply romanticizing the criminal’s actions, and Conversations with a Killer is missing this component. A large portion of Conversations with a Killer is devoted to interviews with several other people affected by the crime and investigation, notably Robert Keppel and Carol DaRonch. Keppel is a law enforcement officer, mostly known for his work on the investigations of Ted Bundy and Gary Ridgway, two of the most prolific serial killers in US history. His inclusion in the documentary had serious potential for new insight into the unique details of the investigations, or possibly offer a comparison with other high-profile cases in which he has been involved. However, his interviews in Conversations with a Killer are notably lacking in any fresh commentary or analysis. His involvement in the case could have provided a unique perspective, however, he was used to recounting the events rather than provide any insight into the crime, the investigation, or the character of Ted Bundy. DaRonch is one of the few women who survived an encounter with Bundy. Similarly, her only role in Conversations with a Killer was to offer an account of Bundy’s crimes. Her inclusion in the documentary struck me as dehumanizing. The fact that she was only there to talk about Bundy was an example of Netflix’s troubling, recurring attitude towards his victims, in which they are only mentioned as a part Bundy’s narrative instead of treated as individuals with their own stories. Furthermore, some of the interviewers’ accounts presented wildly conflicting details of his character, often played back to back. For example, one person said that “[Bundy] just didn’t seem to be all there, all present,” while another said that “he was a very nice person. He was the kind of guy you’d want your sister to marry.” Instead of selecting interviews that supported a certain argument or portrayal of Bundy, this conflicting narrative appeared to be the producer’s attempt to include as much information on the subject as possible, regardless of its relevance. Overall, the poor cohesion of the interviews resulted in lots of wasted potential. 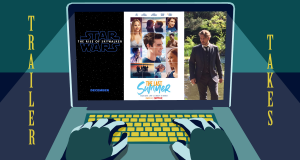 Netflix had access to so many different perspectives that could have provided unique, unexplored accounts and theories, however, they instead focused on a simple description of events. The documentary would have been more interesting had the interviews been used to support psychological analysis, investigative reports, or literally anything other than what they were used for. The interviews, both the taped recordings with Bundy and the other miscellaneous records, were only there to give an account of his crimes, not to provide any new insight. The misuse of the interviews reflects the lack of argument or focus that plagued the documentary, preventing it from being truly interesting. The flaws of Conversations with a Killer are even more apparent when the documentary is compared with other true crime shows and podcasts. Recently, there has been a resurgence in true crime shows that likely began with the popular investigative podcast Serial. Another popular example of this type of show would be Buzzfeed Unsolved: True Crime. The primary purpose of these shows to theorize and investigate. They are more argumentative than Conversations with a Killer and only focus on the details of the crime when it is relevant to their argument. In other words, the facts themselves aren’t the focus. It’s how the facts support the theories that matters. Overall the documentary series has a lot of wasted potential. With the interesting interviews and perspectives available, there was room for analysis or comparison or something to make it more unique. The documentary really didn’t have a point. It simply relayed the facts. While the facts of the crimes and the debates that arise from one’s individual analysis are interesting, the documentary in and of itself is dry and aimless as it fails to convey anything new or exciting. Most, if not all, of the information conveyed in the documentary could be found on Wikipedia. While the interviews could have set it apart, they were poorly implemented and didn’t add anything significant. The lack of focus of the documentary leaves the audience to interpret the facts as they want, therefore creating a romanticized version of the horrific reality. By choosing to cram it with as many sources of information of possible instead of forming an argument, the documentary wasted an opportunity to present new examination or theories of the investigation or the psychology of Ted Bundy. 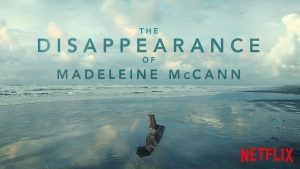 Does Netflix’s The Disappearance of Madeleine McCann Mark a Turning Point in the True Crime Genre?